The 2015 Subaru Impreza is an all-season car that offers incredible space, standard all-wheel drive and top-notch handling. The Impreza has been a part of the Subaru family for over 23 years, charming buyers with its capabilities, ride quality and overall reliability. Now in its fourth generation, the model continues to offer these advantages along with many others. The latest Impreza comes with excellent upgrades, including new standard features, a fresh safety package and updated exterior styling, which cater to modern buyers. For more information about these components, check out our 2015 Subaru Impreza review in its entirety. New standard components are at the forefront of the Subaru Impreza's upgrades for 2015. All brand-new models have recently been outfitted with standard cruise control, a rearview camera and a 6.2-inch touchscreen equipped with updated infotainment features, including Bluetooth, iTunes tagging and smartphone integration. Additionally, the 2015 Subaru Impreza in Kansas City Premium model now comes standard with a continuously variable transmission. A fresh safety package is also available on the Limited and Sport Limited, which includes automatic pre-collision braking, lane departure warning and adaptive cruise control. Aside from these features, the 2015 Subaru Impreza in Kansas City is outfitted with a 2.0L horizontally opposed boxer four-cylinder engine. It delivers 148 horsepower and 145 lb.-ft. of torque and comes paired with a five-speed manual transmission on all 2.0i and 2.0i Sport Premium models. On the remainder of the models, the engine is equipped with a continuously variable transmission that delivers more power to the front wheels. All variants come fitted with an all-wheel-drive system that produce first-class performance at all times. To acquire more details about the Impreza and its features, continue reading our 2015 Subaru Impreza review. You can also view the car's engine specs and check out a 360-degree video review of the model. 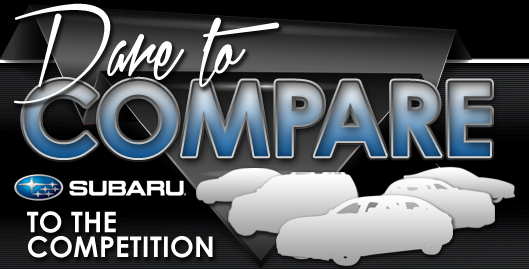 We urge you to compare the most current Impreza model head-to-head with competitors like the 2015 Ford Focus, Hyundai Elantra, Honda Civic, Chevrolet Cruze and the Volkswagen Jetta. That's how confident we are that it's right for you. If the Impreza's budget-friendly price and advanced incar technologies don't prove to you that it's the right vehicle for your needs, we're sure its pronounced looks will seal the deal. It's a truly amazing value, which you'll easily see when comparing its price to the opposition. Check out our facts list to learn more about the Impreza - bullets below this text. 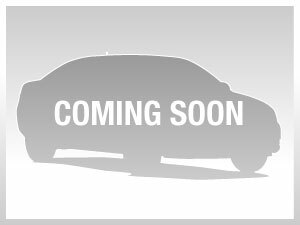 To make your car search less of a hassle, Van Subaru is happy to offer research tools like the 2015 Impreza review above, as well as reviews of past models. Don't stress out over your next purchase; look to the respected Subaru franchise in Kansas City for thoroughly researched reviews composed by industry specialists. You can trust the information in this article to be ultra-precise and provide you with the details you need to [decide] if you want to purchase the Impreza. Thank you for checking out Van Subaru's 2015 Impreza review. Now that you know more about the Impreza, pick up the phone and call us to learn about current financing offers and national incentives that can help you save a substantial amount on your purchase.